Hot tips on hot stocks. Are you always looking for a stock market trading tip? Do you regularly check stock quotes only to be surprised when you see that your free stock market tips did not work out the way you expected. Trading tips, advice and receiving investing information are a part of the trading game and you should know about them. Since you cannot get away from tips, at least know what to do when you receive one. Here is a typical scenario. You are new to trading and do not know what you are doing. A friend tells you they are making a lot of money in a certain stock. You buy it, the stock starts to drop, and you panic and sell at a loss. If this sounds like something you have done in the past, did you learn a lesson from this transaction? The above scenario describes someone who bought a stock on a tip. Beginners and untrained traders generally do this because they think others know more than they do. 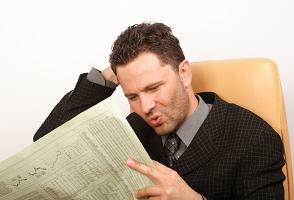 Stock tips come from everywhere: TV, radio, newspapers, newsletters, Internet, friends, brokers, co-workers etc. If the stock sounds interesting, check it out. Get informed before you act on a stock tip. The stock market will teach you many lessons every time you trade. Trading other peoples tips is generally one you should avoid. Stock market trading tips have been around for a long time. For instance, in Edwin Lefevre's "Reminiscences of a Stock Operator", first published in 1923, Lefevre references people who would give a stock market trading tip in the hopes of improving their position.